New product line? Relaunched website? Expanded services? A brand new store? Corporate marketing materials will take your company’s growth efforts from satisfactory to stand-out. Let the nation’s sole large-format graphics producers help. SpeedPro can create custom signage and graphics for every stage or event unfolding for your business. Revamp your corporate marketing signage with our full-service printing studios — and put muscle back in your visual marketing. What Does Signage Have to Do With Corporate Marketing? Marketing encompasses all practices and platforms your business uses to form connections with customers. It’s a broad term — and for understandable reasons. Corporate marketing can span everything from promotion and sales activities to social media management, data analytics, product development and continual market research. In other words, if an activity is geared toward delivering value for someone, that activity is marketing. Corporate marketing signage are the ways you use large, printed graphics to establish high-value connections with customers. It’s an essential arm in a company’s overall visual communication strategy, communicating in high-impact graphics and text what the business does. Plus, communicating this way brings more value to more people. 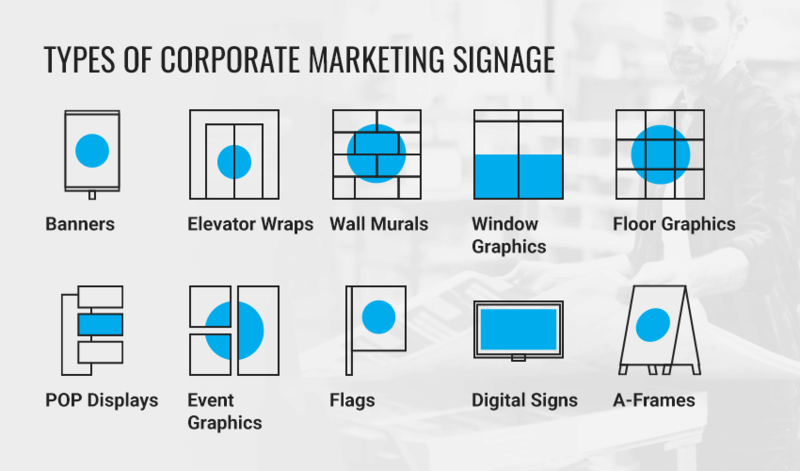 Why Do I Need Corporate Marketing Signage? Signage is essential for businesses because it puts a “face” to value. Signs hold text and graphics conveying your goods and services, yes, but also the personality behind those goods and services and what experiences await customers who interact with you. Marketing signage sharpens your brand identity. You strategize the most meaningful words, shapes, colors and images illustrating the heart and soul of your brand. That, in turn, becomes synonymous with your company as you design and install corporate signage for the public to see. Offices reflect their leadership’s and employees’ personalities, communication styles, values, incentives and org hierarchies. Every business maintains its own unique atmosphere. Corporate marketing signage is a great way to capture your individual store or organization’s environment, using language and visuals matching that personality. Corporate signs offer a range of ways to display your products or services. Because there are so many corporate marketing signage types, so many industries signs work for and so many environments where signs shine, your design imagination is the limit to showcasing actual merchandise. Emotions establish the kinds of bonds necessary to make lasting consumer connections. People will be drawn to your business because it produces high-value services or sells quality goods — but also because they feel good transacting with you. Maybe you’ve made them laugh, maybe you’ve made them nostalgic or maybe you’ve simply made them hungry — the most successful signs are ones that capture and nurture emotions like this in its audiences. Product value is when the rational meets the emotional. People purchase items or use the services they do because it makes them feel a certain way and because it provides a functional life improvement. As the two sides to the coins in a marketer’s back pocket, corporate marketing strategies must intertwine rational and emotional motives. Signage that does so is highly impactful, highly cost-effective and — ultimately — highly valuable to audience eyes. SpeedPro’s network of studios can consult, design and print large-format marketing signage in a diverse set of options. Banners: Standing, grommet and pole-pocket banners made from vinyl or canvas materials (among others) are an attention-grabbing and versatile piece of corporate signage. Banners are also highly customizable. 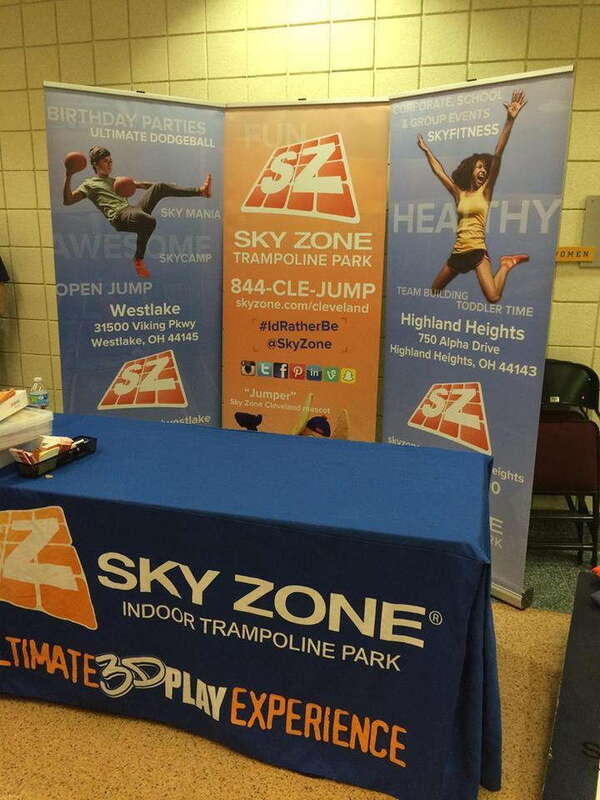 Select from various pre-fabricated shapes, heights and widths or opt for floor-stand or wall-projecting banners of your own custom dimensions, retractable and easy to relocate throughout the day. Elevator wraps:Elevator wraps are custom graphics printed for elevator walls, floors, ceilings and interior and exterior doors. Panel prints can last for years, making them popular aesthetic choices for multi-story offices and headquarters displaying their corporate culture. They’re also captivating templates to advertise products and services in public, catching the attention of shoppers at malls or residents in highrise apartments and condos. 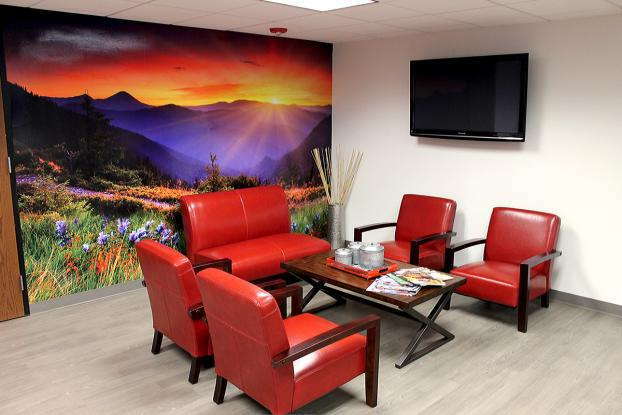 Wall murals: Wall murals make a blank wall a bright, bold marketing canvas. They’re a category of corporate marketing signage perfect to showcase company colors, logos, mission statements and branded imagery for employees and guests to admire. Wall murals also serve to spruce up stores and retail businesses. 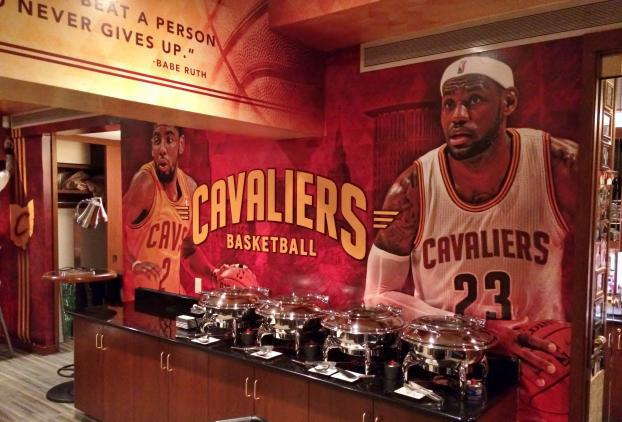 Imagine the environmental boost a wall-to-wall mural can have inside a restaurant or the impact of mosaic-like action shots adorning a sports venue’s walls? Window graphics: Choose from window clings, stickers, decals or full-blown perforated-film coverings that take your storefront’s windows from bland to on-brand. SpeedPro’s window graphics services are some of the most advanced in the large-format industry. We print first surface (installed outside, facing outside) and second-surface (installed inside, facing outside) window graphics, as well as short-term static clings or low-tack stickers on half a dozen base materials, each utilizing color-matching, UV-resistant inks. Floor graphics: Floors can be an afterthought when it comes to branding your commercial space — if they’re thought of at all. Floor graphics remedy this opportunity gap by accenting wood, tile, concrete, asphalt and more. Layer anti-skid logos, text, icons and promotional messages where people can’t help but spot them. In fact, with the average American staring down at their cell phone screens over 50 times a day, floor graphics are a keen marketing tactic to catch eyes where they already are. Point-of-purchase displays: Easily assembled and innately customizable, point of purchase (POP) displays are visual stands promoting a specific product or products. Point of purchase stands aim to increase sales of items on display. They can jumpstart items with slow turnover, highlight new merchandise or be set up near complementary products to increase sales volumes. Oh, and they’re eye-catching, containing reconfigurable 3D panels, shelving and structural stands for easy set-up wherever they’re needed. Event graphics: Showcase your products and your personality in style at any industry event, B2B or B2C. 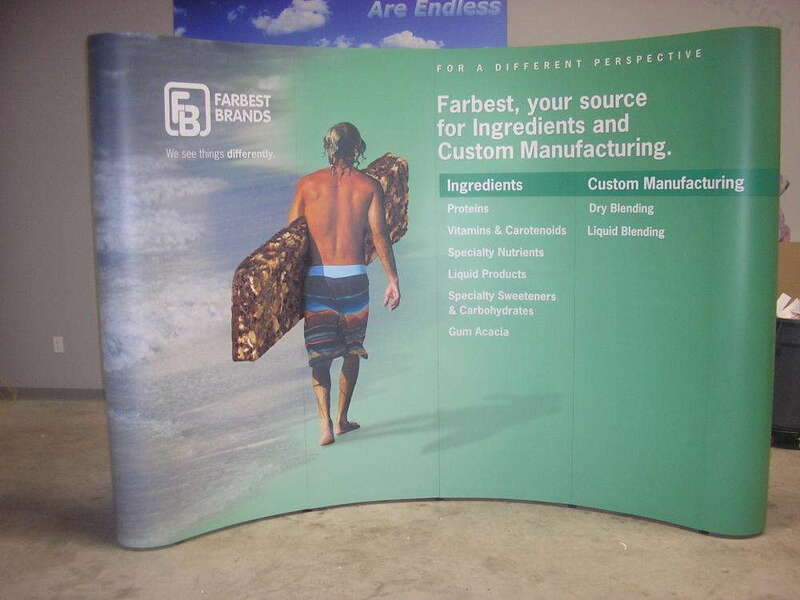 Tradeshow and conference booths can be head-to-toe branded with hanging, standing, tabletop, digital and interactive event graphics fitting your overall visual communication footprint. Likewise, community events like fundraisers, auctions, sporting functions, parades or festivals will have your business jumping out to the crowd. Flags: SpeedPro produces large-format flags contributing to stand-out corporate signage or that add a finishing touch to current setups. Select from custom corporate flags in vinyl and canvas base materials, cut into blade, feather, flutter, teardrop shapes and more. SpeedPro can also outfit flags to be standing, pole-mounted or nearly any other installation configuration, printed single or double-sided. Digital signs: Digital signs give a modern facelift to traditional signage. Corporate digital signs are found anywhere messages need promoting, from bright, attractive restaurant menus to advertising a storefront’s daily specials to interactive screens adorning a trade show company booth. A-frames: Indoor and outdoor A-frame signs add a classic touch to business messages. They’re perfect for daily sidewalk promotions or as part of special event displays at fairs, farmers markets and charity events, drawing foot traffic when and where you want it most. From the functional to the artful, there are many reasons to incorporate signage into your visual communication strategy. New products and services deserve media spotlighting them. After all, these items are the backbone of your business. They’re developed to meet the needs of your current and target customers better, simplifying tasks and solving problems more reliably than any competitors. Launching a new logo means launching your business into its next chapter. As the face of your company, logos imbue personality with pithiness. Just a few colors and shapes relay the meaning behind your company as well as its unique characteristics. Customers are drawn to corporations that have a purpose to what they do — plus personality behind that purpose. The most successful brands in the world also happen to be the ones with the most renowned, universally recognizable and personality-distinct logos. Coincidence — or corporate visual communication strategy hard at work? Re-engage current customers: Appeal to the very people who help your business thrive. Re-engagement is an essential branch of overall corporate marketing that keeps people plugged in and involved in your business’ latest developments. Captivate new audiences: Custom marketing signage also pulls in the people who haven’t interacted with your business yet, turning even passive eyes into prospective customers. Capturing attention is only one side of the equation. Once obtained, companies need to stay top of mind — especially in today’s already ad-saturated environments. Businesses do so with marketing signage that balances personality with purpose. 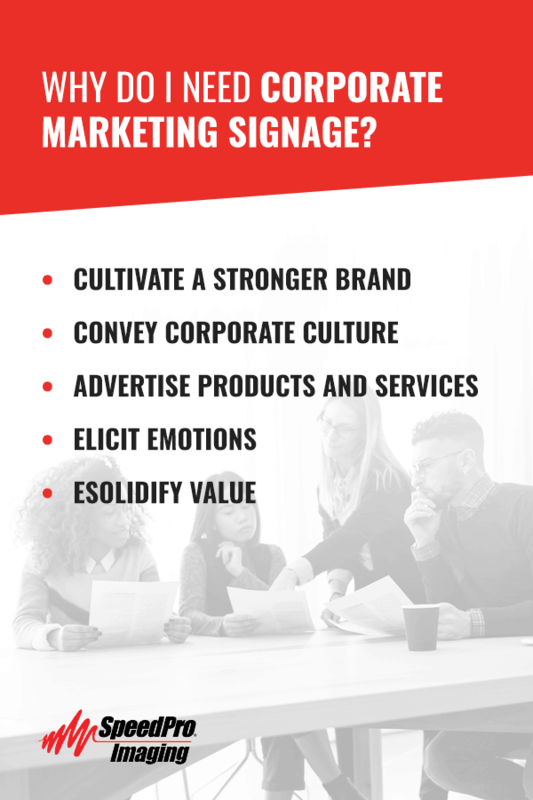 The best custom marketing signage will promote all the value your company brings to its constituents, therefore nurturing connections that last. SpeedPro studios work with clients individually to ensure design needs are satisfied, company values conveyed and target audiences fully captivated. We create big, bold marketing graphics that follow these leading design industry tips and tricks. Looking for your storefront to stand out on the street? Feather flags, window decals, illuminated graphics and contour-cut signs with 3D elements add a pop that also serves this purpose. Wishing to boost web traffic? Add your website URL to vehicle wraps as well as A-frame signs placed on the sidewalk. Higher website visibility should lead to higher website traffic. Itching to increase product or service awareness? Install interactive digital signage in high-traffic areas where prospective customers can click through information about your company at their own pace. Or place eye-catching point-of-purchase signs in-store, which by their nature are meant to highlight goods or services. 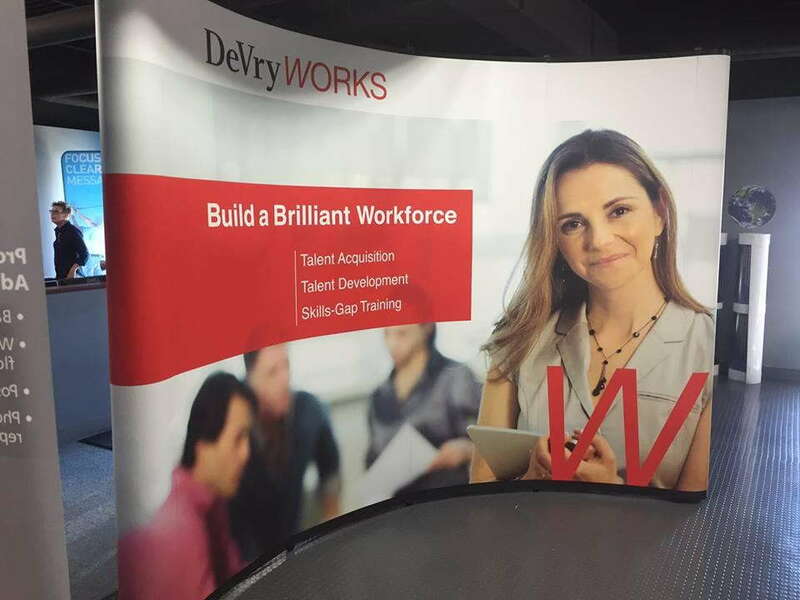 Searching for ways to draw more people to your booths? 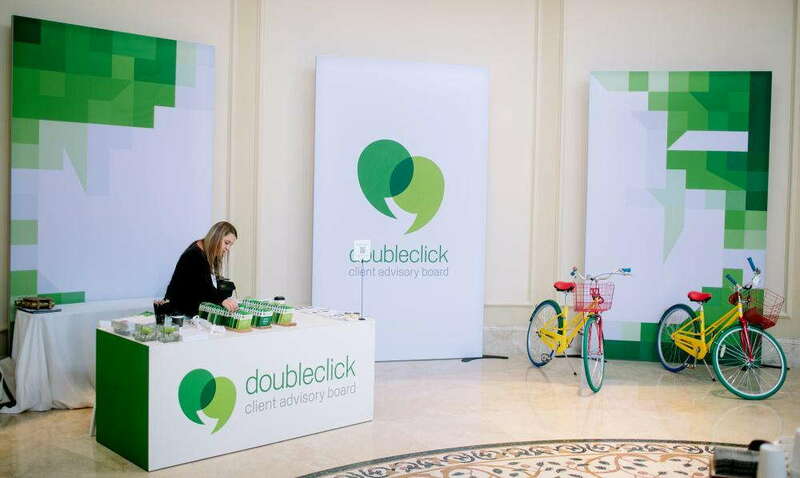 Step-and-repeat banners are fun twists to create interactive experiences at industry events, while wall murals and environmental graphics are impossible to ignore even amidst the rows of competitor booths and stalls. Advances in technology mean signs today can be interactive and experiential. Digital signage especially gives you the freedom to create two-way interactions that surprise, inform and delight. Plus, research shows people rate brands with interpersonal, interactive touchpoints as more trustworthy and authentic — powerful attributes any company covets. Utilize user-generated content, such as selfies or videos people submit for display on your digital signs or event graphics. Create branded hashtags and add them to your signage, then have your signs encourage shares to win a freebie or coupon. Sponsor games or competitions where winners earn a free product or service, with rules or details incentivized on your custom marketing signage. Define what success looks like for your visual communication strategies. These definitions become your key performance indicators (KPIs), the benchmarks tracking the success of your signs as well as what ideas, images and words on them consumers respond best to. Setting KPIs also means finding ways to measure them. 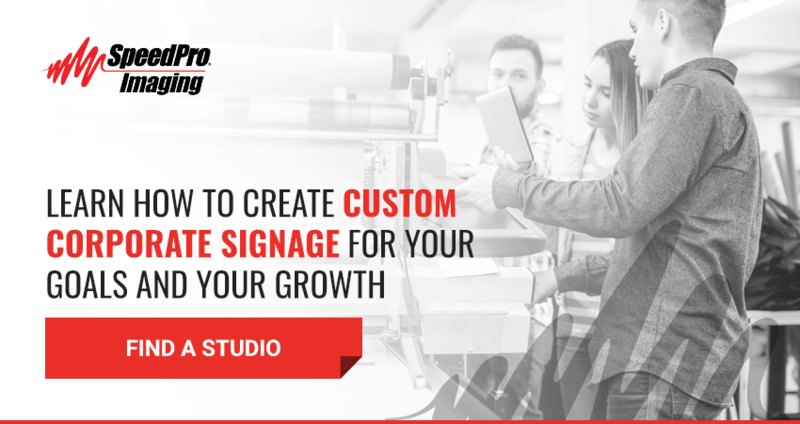 SpeedPro studios can help outline methods for intuitive metric tracking across all printed corporate signage, such as including a custom website URL on signs to help measure traffic changes. Overall, having a clear goal for your signs allows you to focus your marketing energy to work smarter, not harder. Corporate marketing signage marries strategic direction with design. The best of such signs are the ones where KPI-backed goals are enhanced — indeed, defined — by creative, captivating and customer-value oriented graphics. Installing unique sign backlighting, 3D contour-cut pieces or digital elements are all ways to ensure your business’ signage pops — and that pop holds a purpose. The visual communications experts at SpeedPro are ready to reveal the benefits corporate signs and graphics can bring to your bottom line. Find your local SpeedPro studio to get started on custom corporate signs today.